A suicidal man shot and killed by police in Suisun City had been armed with a pellet gun designed to look like a rifle, authorities said Monday. 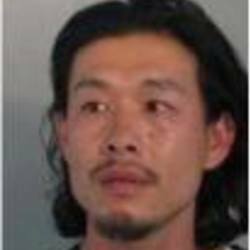 Saan Pao Saeturn, 32, of Fairfield and Suisun City, was shot at the Suisun City Boat Ramp at 1250 Kellogg St. about 4:35 p.m. Thursday. Suisun City and Fairfield police and Solano County sheriff's deputies responded to reports of a suicidal man with a gun. They found Saeturn and began negotiating with him over a 14-minute period, said Officer Cleo Mayoral of the Fairfield Police Department. The standoff ended when Saeturn "threatened the officers with the rifle and was shot," Mayoral said.